Deputy Attorney General Rod Rosenstein made his first public remarks about the Pittsburgh synagogue shooting Monday, saying that law enforcement must make sure that all Americans are protected from hate crimes. A man killed 11 Jewish worshippers at the Tree of Life synagogue in Pittsburgh on Saturday and injured several others. Rosenstein also announced that the US Justice Department created a new website containing information about how to report a hate crime. 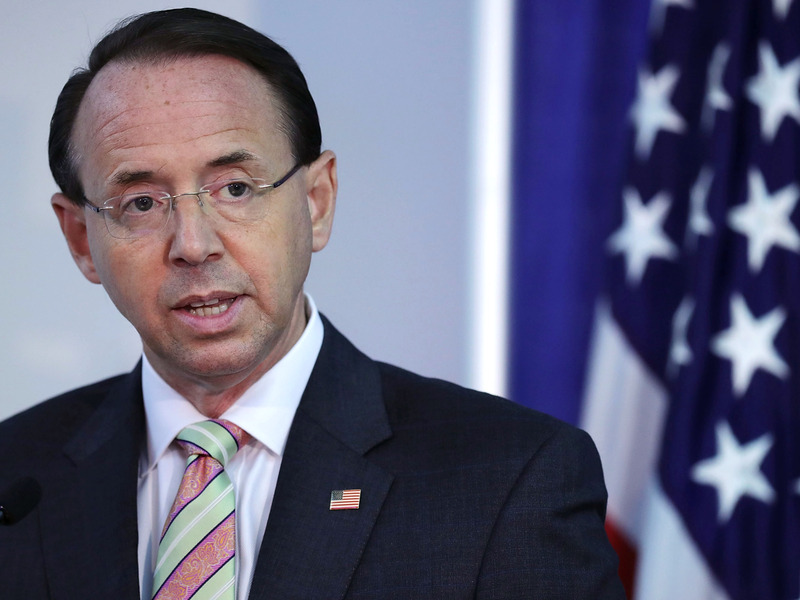 Rosenstein, who is Jewish, also praised President Donald Trump for condemning anti-semitism in America. Deputy Attorney General Rod Rosenstein declared on Monday that it is the duty of law-enforcement officers to ensure that “all Americans” are protected from hate crimes. Rosenstein made these remarks days after a gunman fatally shot 11 Jewish worshippers at the Tree of Life synagogue in Pittsburgh, Pennsylvania.